Find all ACG Utility vehicles. world’s only Harley Davidson motorcycle limousine, and a Red Bull jet engine fuelled funny car. ACG currently has an annual sales volume of 2,500 vehicles per year, and 81 licensed distributors around the world – one of which is Golf Cars Unlimited. No other vehicle says luxury and royalty quite like the California Roadster-Limo does. This spacious 4-seater or 6-seater limousine comes with a potent 17.5 HP AC motor that allows it to reach a top speed of around 25 miles per hour. The car is stylishly designed and engineered with top-end technology which includes a 4-wheel breaking system, including frontal hydraulic disc brakes and an in-dash power source to charge your devices on the go. The California Roadster-Limo truly is a car like no other. 1. 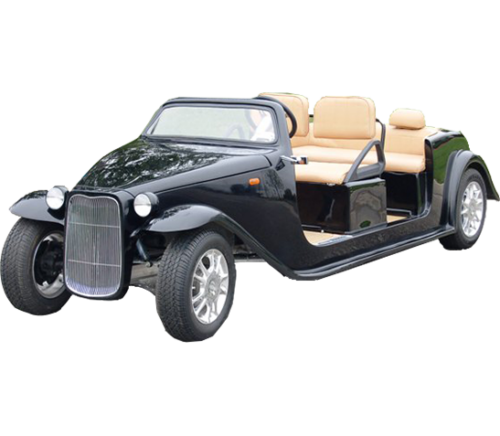 The California Roadster: ACG’s California Roadster is perfect for those who want to drive around in a golf cart without compromising on style and looks. It comes in a classic vintage style that is entirely reminiscent of vintage cars – so car lovers and enthusiasts would surely love to get their hands on one. 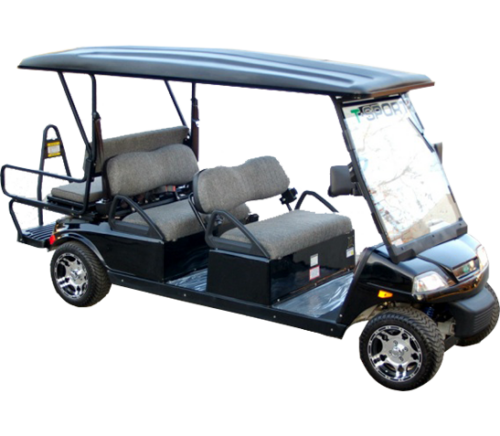 At the same time, it is a powerful golf cart with its 17.5HP AC motor, six 8V batteries, and SEVCON controller – making it the perfect errand vehicle for you and your family. The California Roadster comes in two models: the California Roadster that seats two passengers, and the California Roadster- Limo that seats four or six passengers. 2. 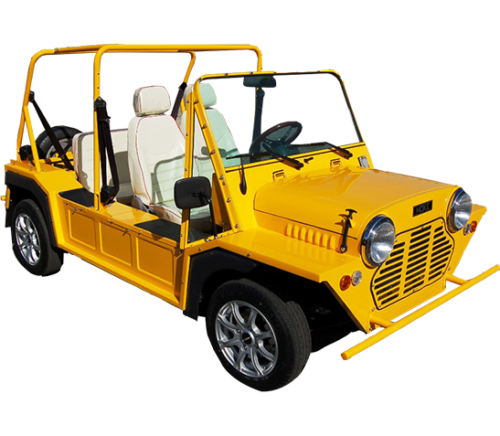 The Moke: The Moke is another option for residential golf car drivers who love regular vehicle-looking golf cars as it is built like a Jeep or a Gypsy. It is stylish like the California Roadster but in a more rugged and contemporary feel. 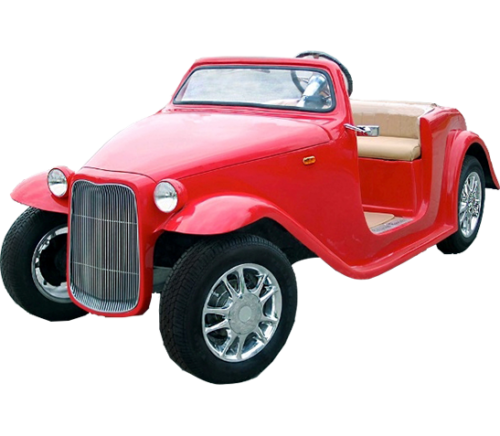 And just like the Roadster, it also comes with a powerful 17.5HP AC motor, six 8V batteries, and SEVCON controller – so it can easily handle your community streets and will surely turn heads wherever you go. The Moke comes with a standard seating capacity of four passengers. wheel braking system – so you and your family are assured of a safe drive in your daily errands. The T-Sport comes in four models: the T-Sport 2 that seats two passengers, and the T-Sport, T-Sport LX, and T-Sport GT that all seats four passengers. 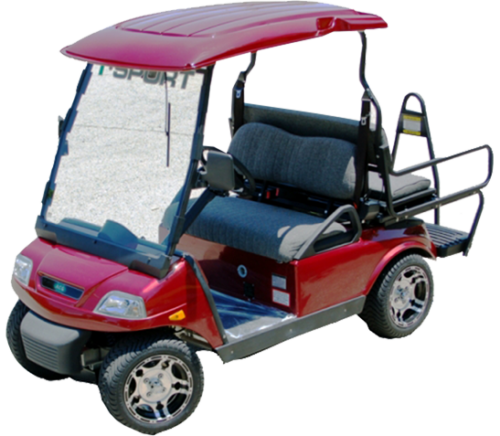 Browse our wide range of ACG golf cars today! For any inquiries or concerns, feel free to drop a note here on our site, and we would be more than happy to assist you.